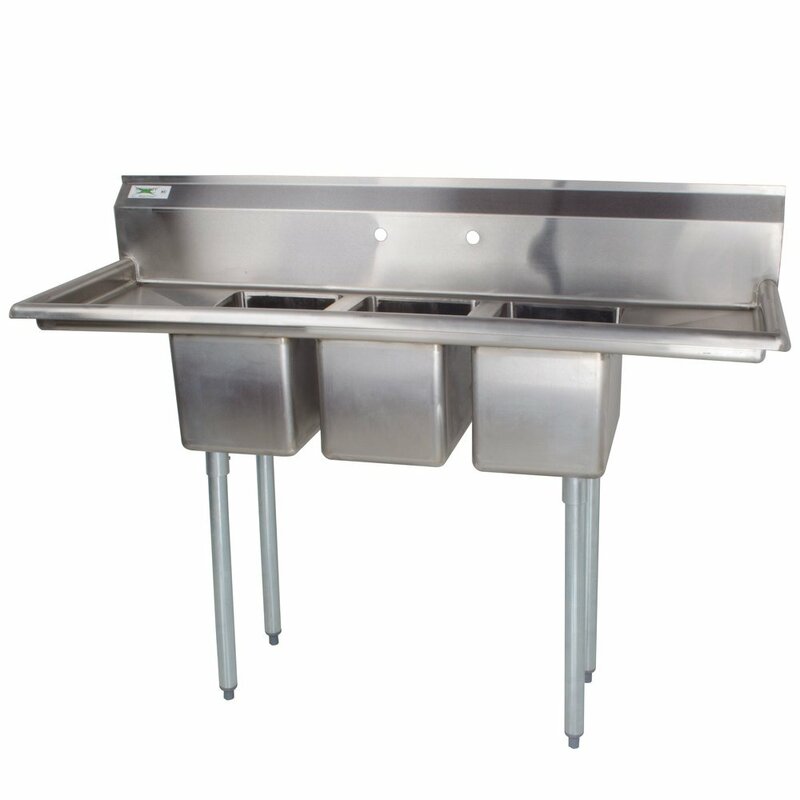 Install a convenient sink and work area in your business with the Regency three compartment stainless steel commercial sink! 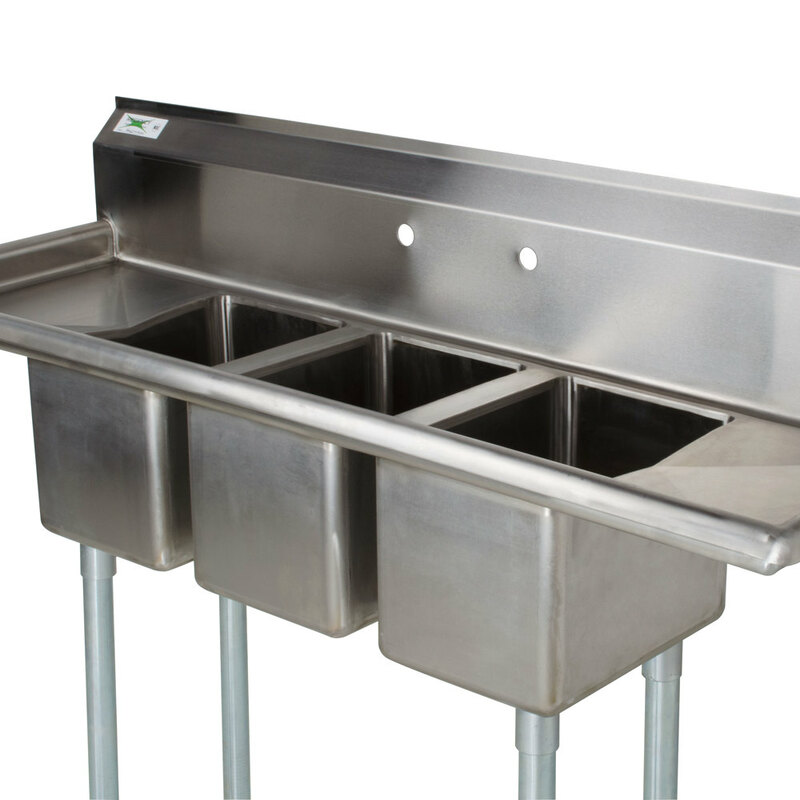 This compartment sink is made of 16-gauge type 304 stainless steel for long-lasting durability and exceptional resistance to corrosion to guarantee longevity. 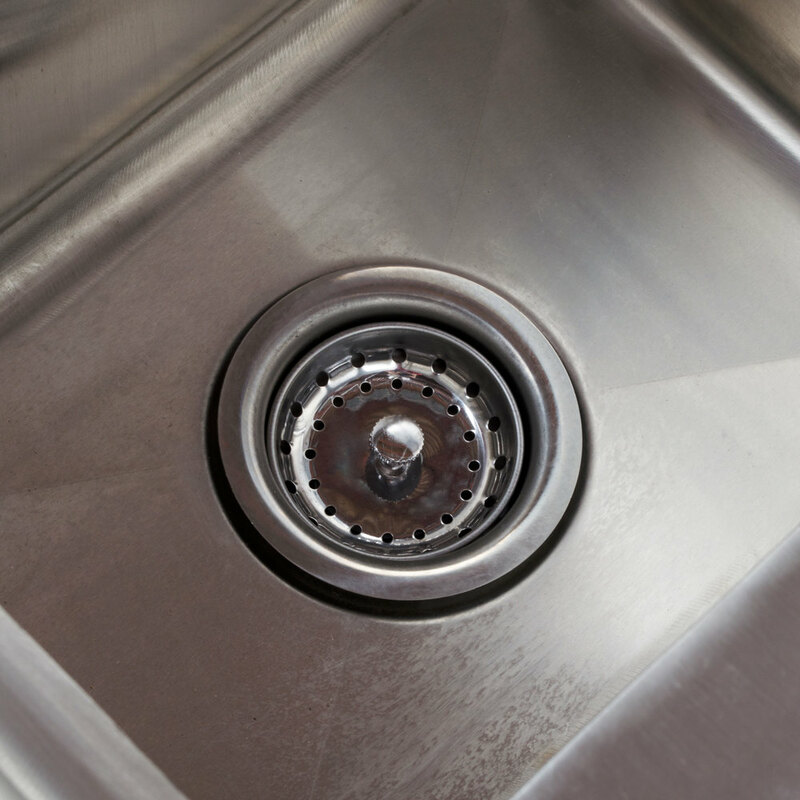 Each sink bowl measures 10" x 14" with a 10" depth to hold water, sanitizer, dishes, and more, while (3) 3 1/2" basket strainers prevent scraps of food from clogging your plumbing. 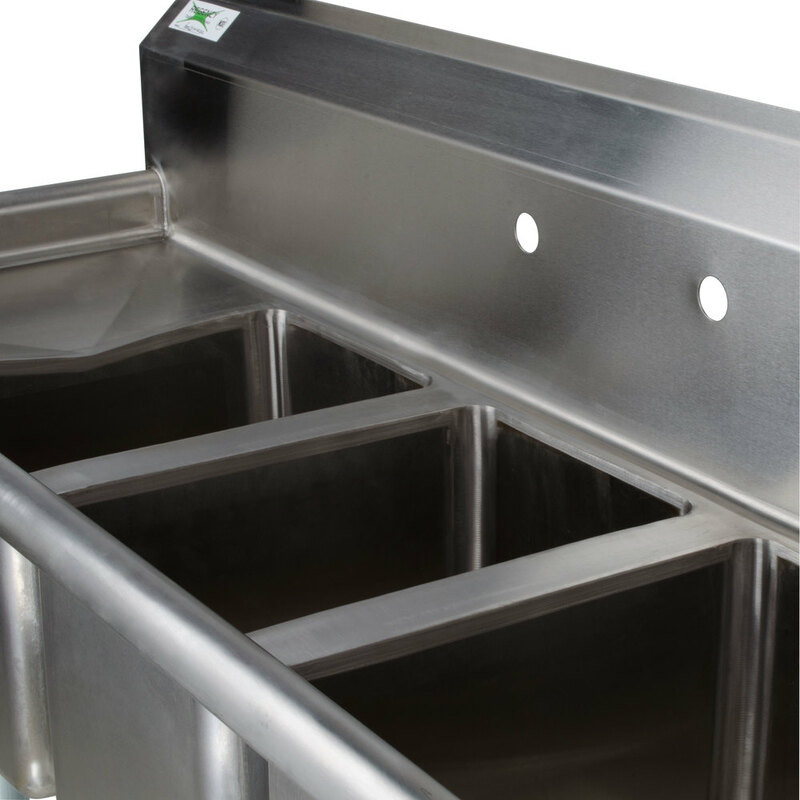 For sanitation, the coved corners of the sink bowls allow for fast and easy cleaning. This sink comes with a 12" drainboard on either side to help dry wet dishes, and the backsplash is 9 3/4" tall to keep your walls dry. A 2 1/2" raised rolled edge helps contain splashes and overflow, and thanks to its 1 5/8" diameter galvanized steel legs with galvanized sockets, you can be sure this unit will remain sturdy throughout the day. Adjustable plastic bullet feet allow you to level the sink on uneven flooring for sure stability. Precut holes are drilled into the backsplash on 8" centers for your wall-mounted faucet (sold separately). Work Surface Height: 36 1/2"